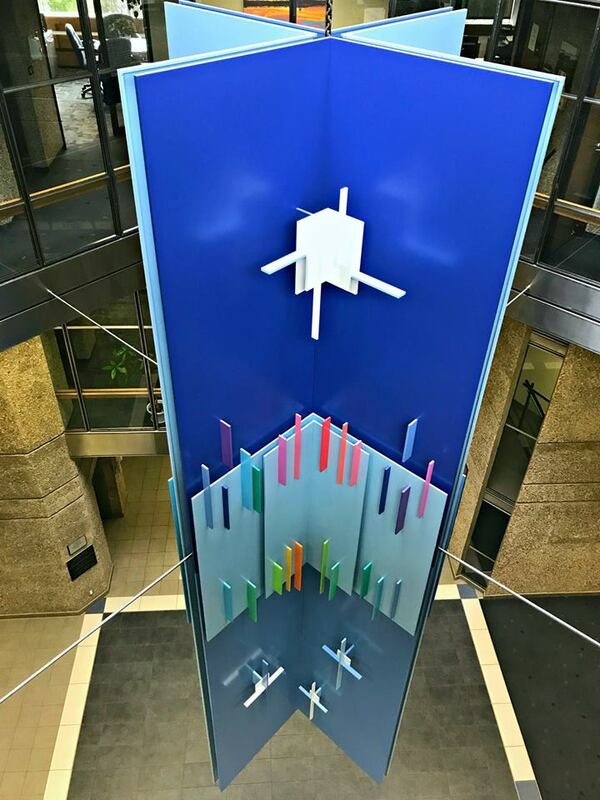 The Wascana Centre Authority Board commissioned a major sculpture to hang in the hall of Wascana Place by Eli Bornstein from Saskatoon which was completed in 1982. Eli Bornstein is an American-born artist and teacher who has spent most of his life in Saskatchewan and is known for his three-dimensional reliers. A scale model of his Wascana Centre artwork has recently been acquired by the Canadian Centre for Architecture in Montreal for its permanent collection.